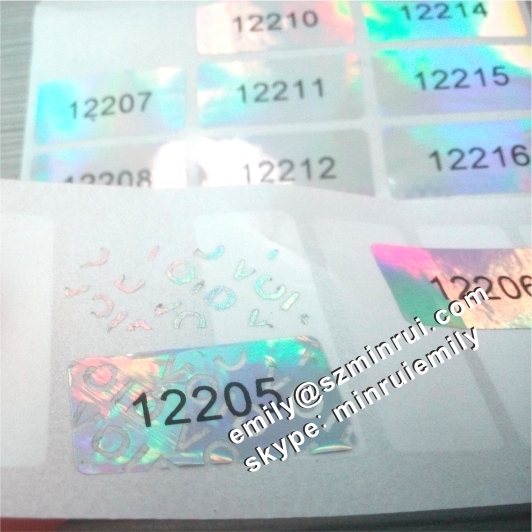 Custom Serial Numbers Printed Hologram Warranty Void Seal Sticker, Tamper Proof Hologram Void Stickers Which Will Leave "VOID"
Package in rolls or in sheets than in cartons ! 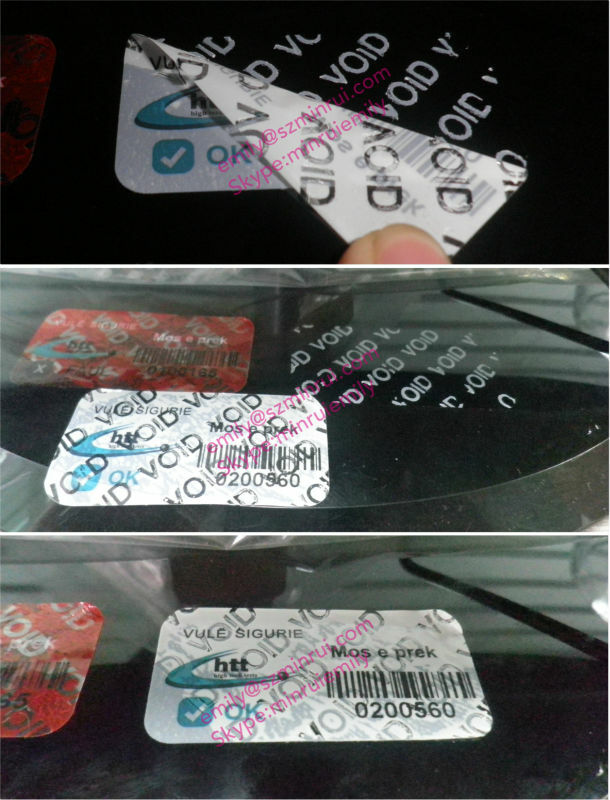 Please notice that,all adhesive labels should be sticked on the clean and smooth surface,cannot be sticked on the concave-convex surface,especailly with small size labels. The covered packages surface and the removed tapes will show the tampered evident together once removed. 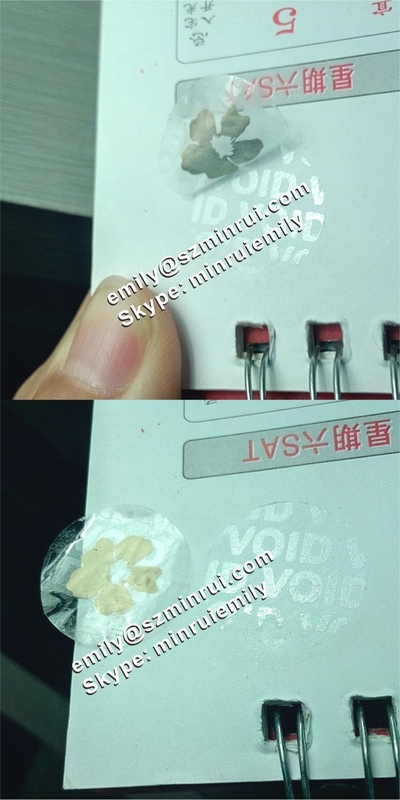 The VOID tamper proof stickers could be used only one time and cannot return back as original. 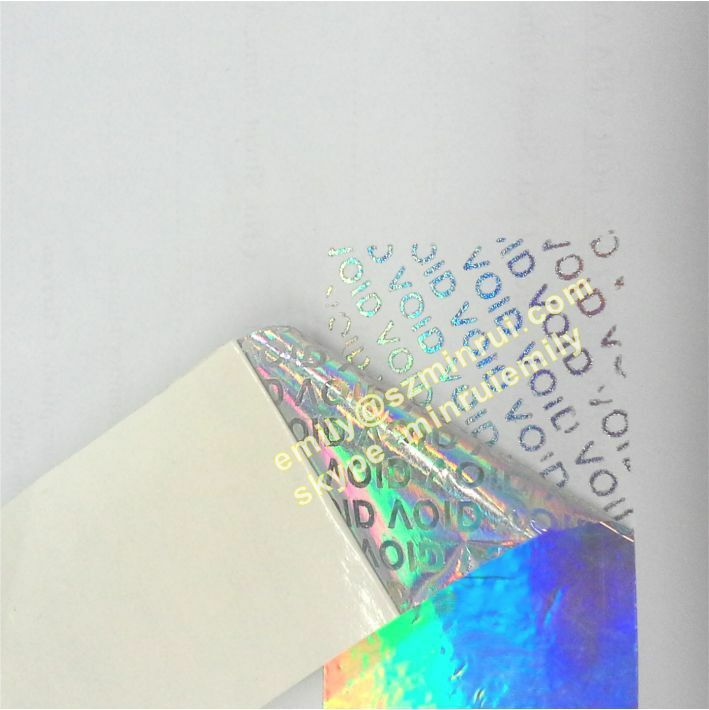 The void label materials face would be customized with your requests, the facestock could be PET, PE, OPP, Coated papers and the ect. 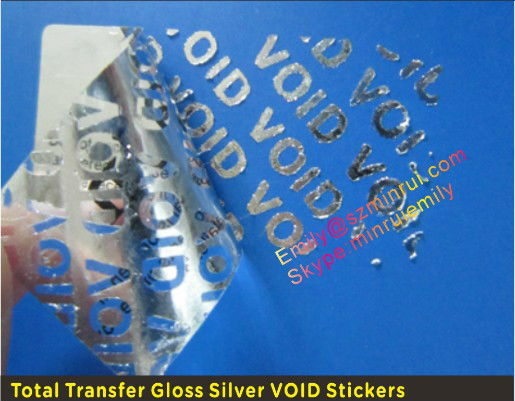 The face of the void sticker materials could be improved by coating treatment for printed better with offset printing, UV printing and the ect and they are also chemical proof , water proof and lower machine loss. The leaving texts could be words, images or customized content. This customized leaving texts could improve company image. 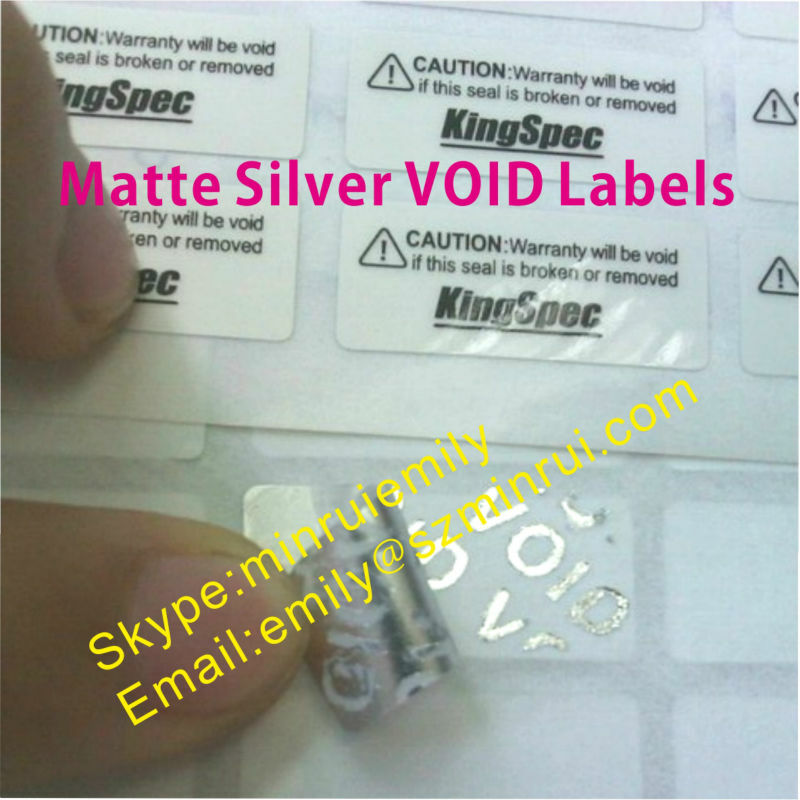 The warranty void stickers will show tamper evident soon once tampered or removed. 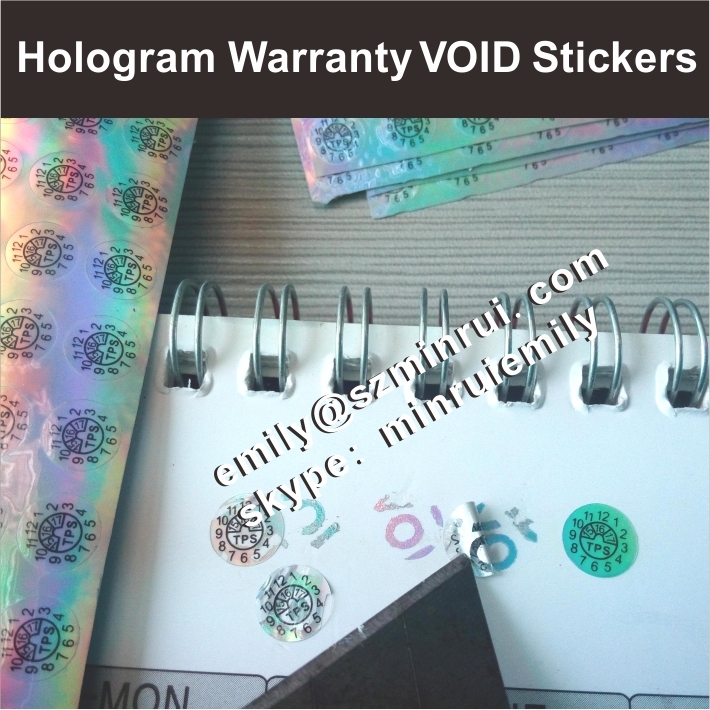 These one time use hologram warranty void stickers are indestructible and also water proof warranty stickers with size dia 7mm , customized by a customer from Spain. Just send us your design ideas,we could provide you with the draft design! 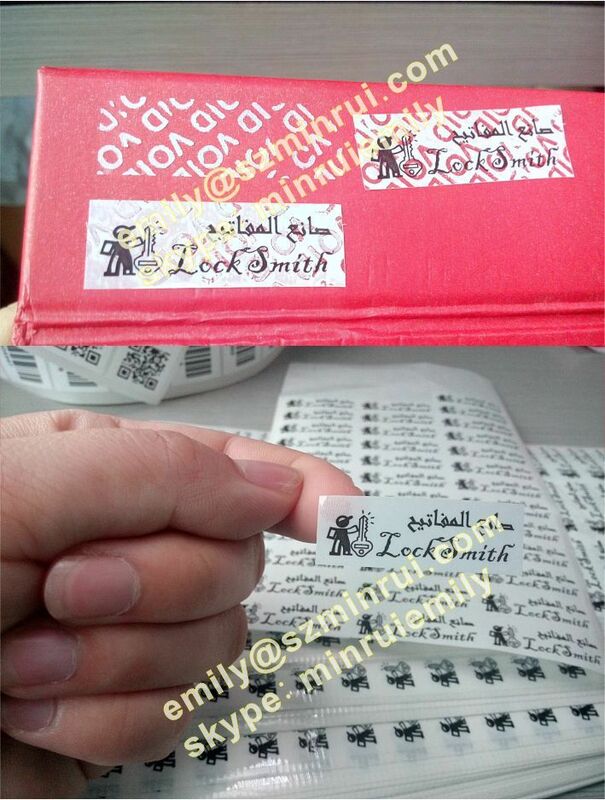 These white void stickers customized by a customer from Saudi Arabia with size 35x12mm with his company logo and name printed as the design. 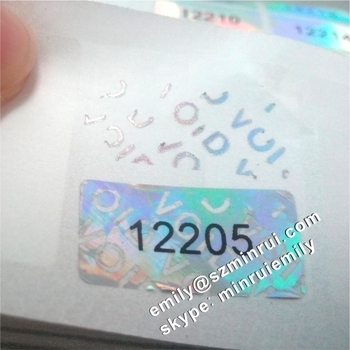 These White Void Barcode Vinyl Stickers are with glossy lamination,size 50x25mm round corners and with customized logo ,patters and the texts,by a customers from Albania especially the barcode with serials numbers,the barcode reader will show the same number under each barcode once scanned. 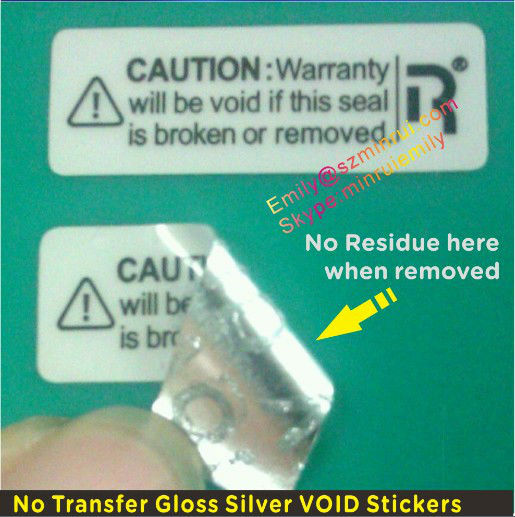 They are tamper proof and water resistant labels,they will show white texts "VOID" once tampered,widely used as the warranty seal stickers. 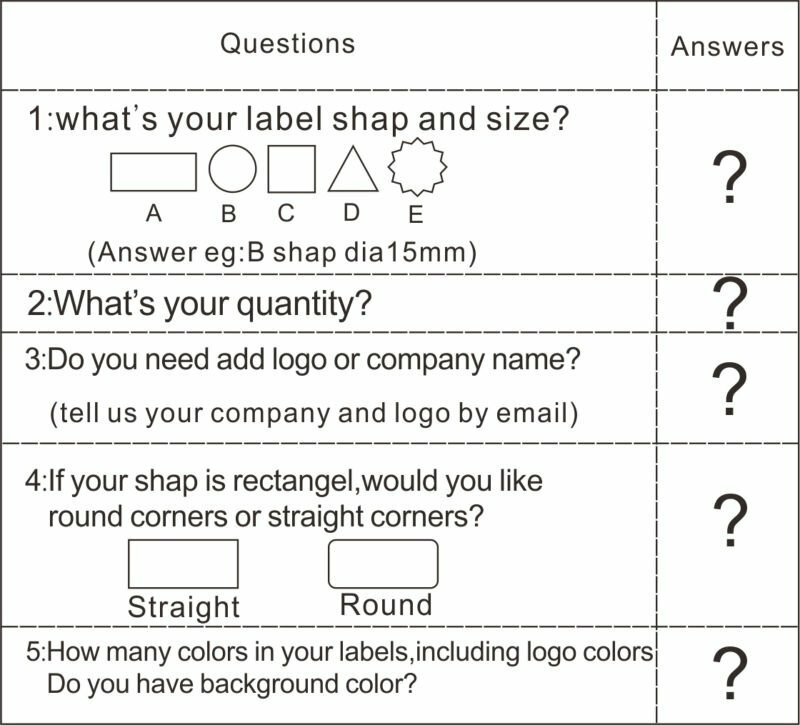 You could custom the warranty void stickers designs with your logo and company name or also could be with sequence numbers. 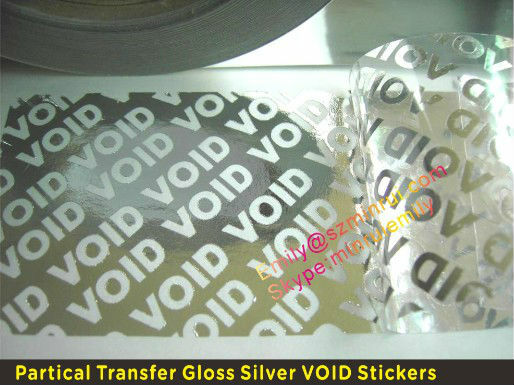 Tamper Proof warranty void stickers are water proof tamper evident PET vinyl labels,and also indestructible.If you want to seal your products or boxes ,it is a good choice. →you will receive them soon. Waiting for your kindly enquiry! We will get you back in 24 hours. Any shap or size is ok! please just send us your design in PDF or please send us your ideas about the design,then we will offer you a free design with valid quotation according to your quantity! We will send the finished labels to you by door to door express!! 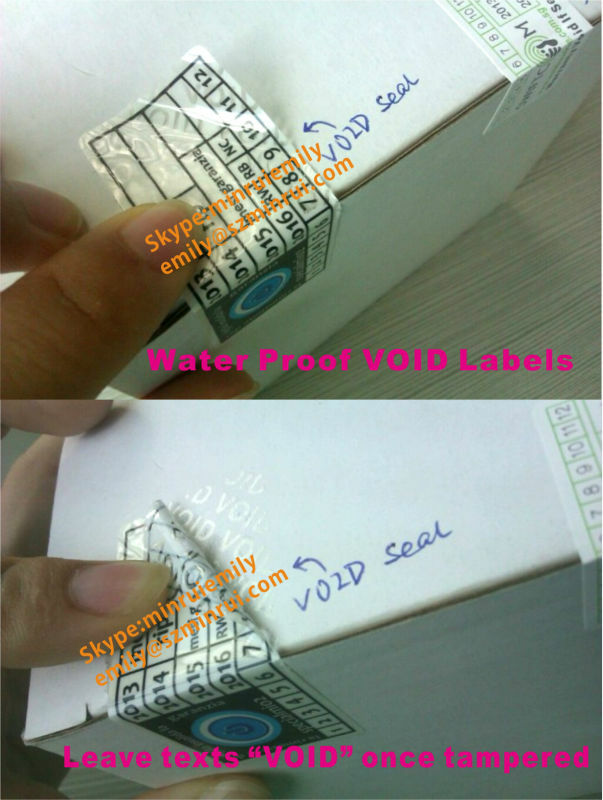 If you do not want the labels leave texts on your products once tampered but also want to show the evident,we suggest no residue VOID labels could help you! If you couldn't make sure which one you want to choose,contact us please!